A new footboard peripheral puts extra buttons at your feet. Lets face it: your feet have better things to do. Right now, all they do is sit under your desk, threatening your life with deep vein thrombosis. 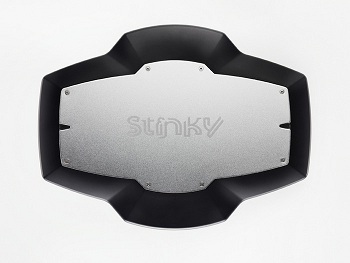 SteLuLu Technologies intends to give your limbs new purpose with the charmingly-named Stinky Footboard, a controller for your feet. The idea isn't just to give you more buttons to press, but to let you press more at a time. A PC device, it uses software to translate toe taps to keyboard commands, just like those massive gaming mice. Chalk up another invention made possible by crowdfunding. After a successful Kickstarter, SteLuLu Technologies raised almost $80,000 to get its company off the ground. It farmed out a few units to various publications for quotes, with the most honest one coming from Maximum PC's Paul Lilly, stating that the product is "potentially brilliant." While they've yet to announce the actual release of the product, Kickstarter backers could score a Stinky for a $99 pledge, with an estimated delivery time of July 2013. Games with lots of buttons that demand quick reflexes might see most of the benefit from this odd add-on. Instead of fumbling for item keys, a MOBA player could simply slug a potion with a tap of his foot. While it might not become a standard PC peripheral, it might find appeal in the right crowd. Also the idea of combining it with an Oculus Rift seems too good to pass up.